The Belvedere is the history of Bassano! 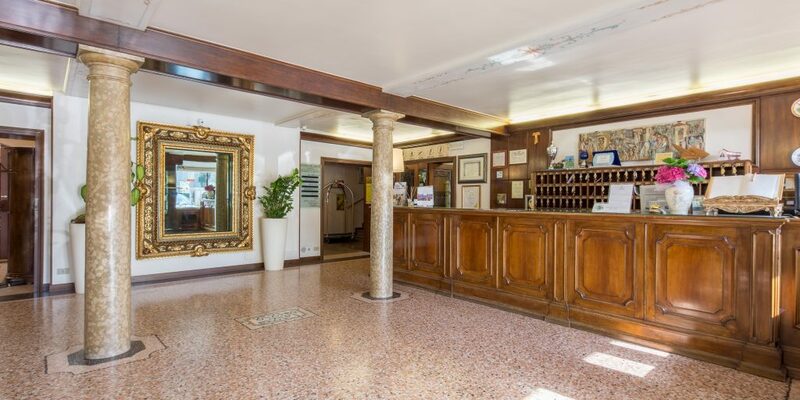 Rich with atmosphere and recently renewed, the house is located a stone-throw from the main squares and from the famous wooden bridge designed by A. Palladio. It has ever been a milestone for outstanding figures such as political leaders, artists and scholars: a centuries-old legacy of hospitality that is still today sincere and genuine, worthy of the authentic Italian traditions. 81 rooms, all equipped with the highest standards; different interior styles and categories: Classic and Junior Suites. A convenient underground private parking is available. The flagship of the property is the Restaurant B38: typical Venetian cuisine and a mild touch of creativity, always enhancing the authentic flavors of our local products. Original recipes that will surprise you and add a special taste to your stay in this evocative corner of Bassano Del Grappa. Safe at the Reception or in all rooms.